This weekend, David and Charles Koch, co-owners of the Koch Industries conglomerate of chemical, timber, oil and manufacturing interests, are hosting their twice annual meeting to coordinate strategy and raise funds for the conservative movement. . . . 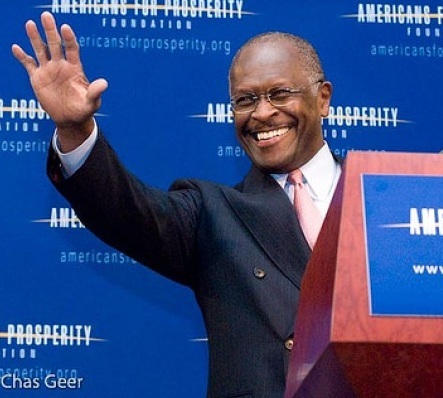 Among those in attendance at the meeting in Rancho Mirage, California, is Herman Cain. Still a year to go until the Iowa caucuses, and he’s already got ’em shaking in their shoes.